Investments by angel investors in startups have arguably played a significant role in terms of lending credibility to startups. This funding has helped small companies reach a stage where they can confidently raise more growth capital as they scale business. Founders bargained, sometimes hard, and often the money given by angel investors values the company at more than its fair market value. This excess over fair market value is the bone of contention. As per the income tax laws of India, where a company receives any money as consideration for shares from a resident in excess of the fair market value, the company is liable to pay tax on the difference. So, raising money at a premium valuation attracts tax. With the Income Tax department knocking the doors for its tax dues, the entire angel investment landscape is standing at cross-roads. Taxes reduce returns and this has far-reaching implications for investors looking at alternative asset classes such as startups. Read on. If Silicon Valley in the US signifies entrepreneurship, it can be safely said the whole of India is a budding place for startups. The YourStory Jan-Sep 2018 startup funding report has showed that $9.14 billion was invested across 660 deals. The nine months ended September 2018 saw more than 24 startups raising over $100 million compared to only 13 companies that raised more than $100 million in the same period in 2017. If it was broad themes like consumption and retail in the past few years, the top sectors on the startup scene today are expected to be Artificial Intelligence, Fintech, Virtual Reality/Augmented Reality, Real-time smart data analytics and The Internet of Things. Small companies working in these areas will no doubt get a lot of attention. It's not that just startups make good money. Angel investors too rake in the moolah, but if they are fortunate. Angel investors make about 27% internal rate of return in 3.5 years, but that is fraught with high risks. Whoever said high returns come with high risks was not lying. Startups fail all the time. According to the findings of a survey by the Institute for Business Value and Oxford Economics 90% of India's startups fail within the first five years. This means 100% of angel investment in those startups probably did not make any money. So, the high risk in start-up investing is for real and it can get really ugly. From due diligence to shepherding early-stage businesses, angel investors tend to put a lot in these minute enterprises. In most cases, the founders have a great product/service idea, but making it a business that pays for employee salaries, growth and sustenance is a different ball-game. We are not saying angel investment is the most challenging form of making money. Sure, it pays well when it does. But the main motive of every investor is same: return. There are viable alternatives, like peer to peer lending, that can generate 15% return annually by giving funding to a diversified group of borrowers. What's best, in P2P platforms like Monexo, the returns start flowing from the next month. Firstly, angel tax severely restricts Indian start-ups from issuing shares at a premium on the fair market value. Two, authorities had provided an exemption from such tax liability to start-ups incorporated before 2016. Three, if the exemption is extended in future pursuant to a startup fulfilling the criteria, authorities will have discretion to grant or deny the exemption. Additional read: Should Mutual Fund Investors Add P2P to Investment Portfolio? As of now, it is clear that angel tax is here to stay. The Central Board of Direct Taxes has issued a Gazette notification which said that startups that have received notices from the Income Tax Department under Section 56(2)(viib) of the Income Tax Act, 1961, will have to take the appeals route to be exempted. The government has drawn up a special policy framework and amended it multiple times to facilitate startups and address their concerns. The definition of startups have been widened. From a startup investor perspective, all this complicates the entire situation. Angel investors and startup investors want clarity in businesses they invest in. At the moment, the only clarity is that angel tax would be there. If companies are slapped with tax due notices, a large enough tax can put the onus back on the angel investors to help the firm get out of trouble. While this is not a desirable situation, angel investors, eager to protect their investments and RoI, will have to prepared for future tax possibilities that the investee company will have to bear. 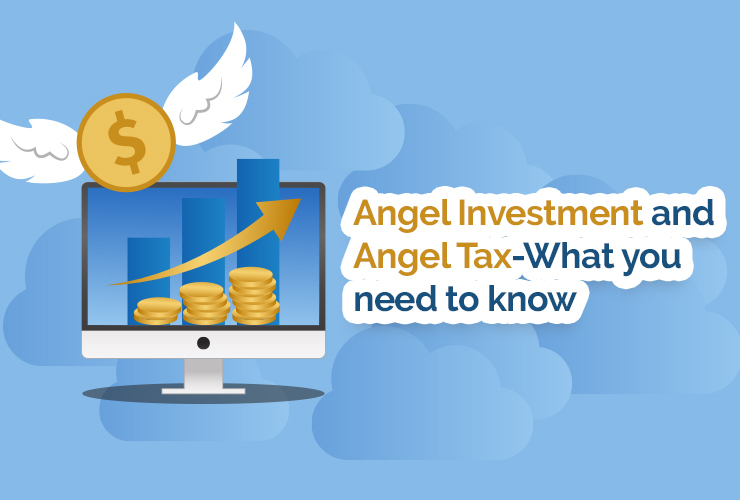 This angel tax event should serve as a reminder to angel investors about the myriad issues that can crop up in case of focussed or single-asset investments. Diversifying angel investments into peer to peer lending will not be a bad option. From a tax perspective alone, there is complete simplicity. Interest income from P2P lending has to be declared as other income and the income tax returns should be filed accordingly. There is no other tax in this stream. Adjusted for inflation and tax, the real returns from peer to peer lending, depending on your risk profile, will be comparable to the highly volatile and risky returns from angel investments. Angel investment may be adding alpha to your investment portfolio so far. But, there are reasons why the situation may change in the future. Alternative investment/asset classes like peer to peer lending have built a track-record of delivering good inflation and risk adjusted returns that are comparable with the very best on offer in India.